I recorded this walk in early July, when the sun had finally managed to break through the clouds and the leaves were fresh and gloriously green. 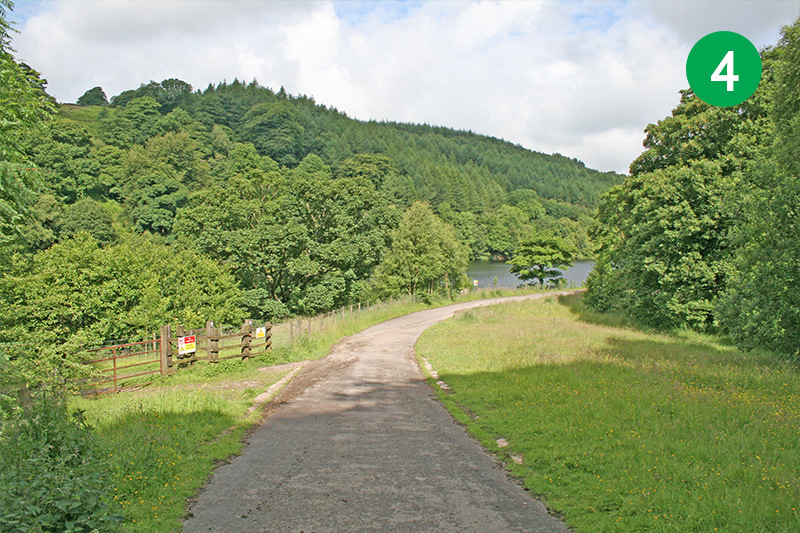 As well as parking spaces at the southern end of the reservoir, there’s an alternative starting point from a car park at the northern end. 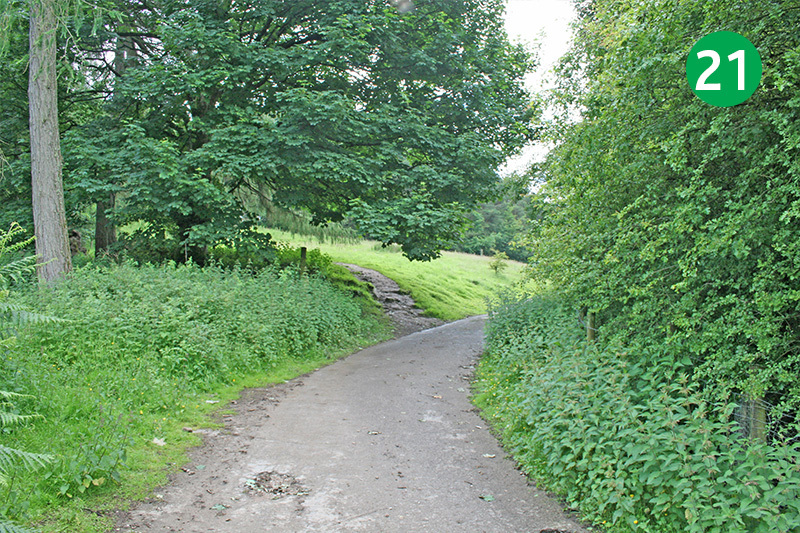 Simply follow the signs to Fernilee from the Buxton to Whaley Bridge road. 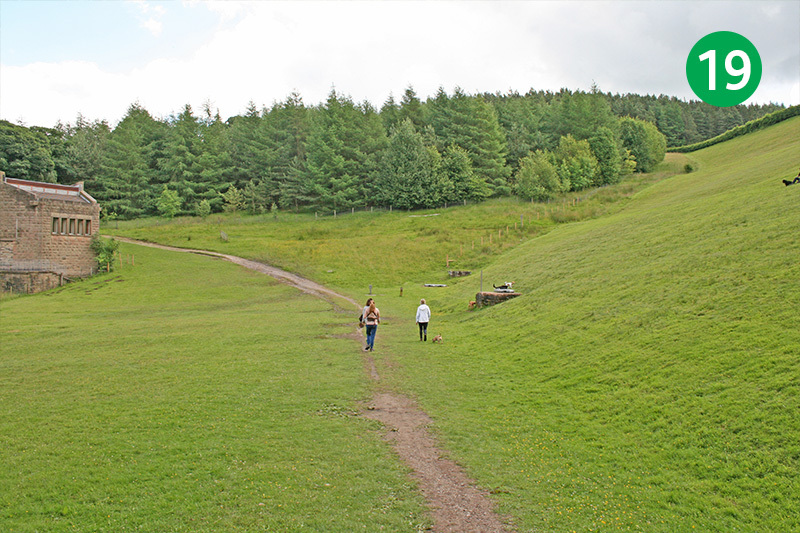 The walk along the eastern shore of Fernilee Reservoir is probably the most popular in the Goyt valley, particularly for dog-walkers and families with young children. Many people simply walk along the old railway track, but I always prefer to do a complete circuit. And for this walk, I’ve gone along the woodland path on the other side, rather than keeping to the shore-line. 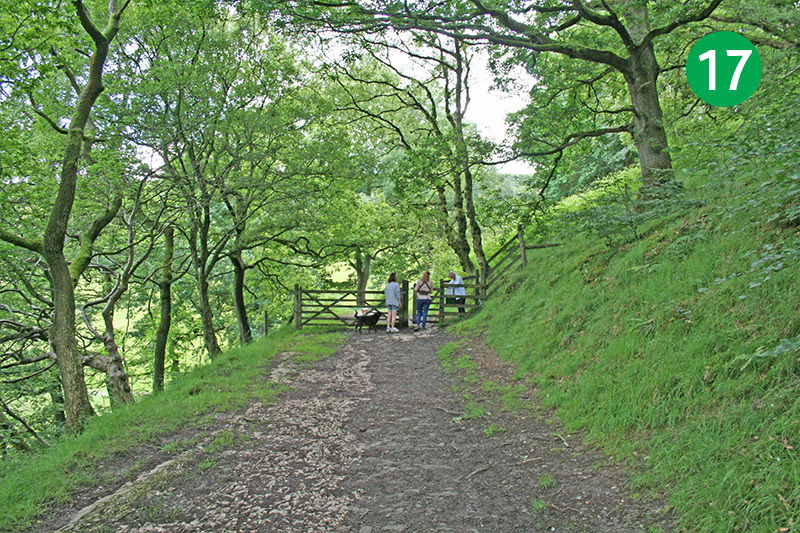 1: The walk starts from the small car park at the foot of the Bunsall Incline; the long straight slope from the Buxton to Whaley Bridge road. If there are no spaces, go over the dam wall separating the twin reservoirs and park in the main car park opposite, walking back to this point. 2: Look out for a gap at the far left corner of the car park and head down the slope. Alternatively, walk a little further down the road and turn right past a metal barrier. 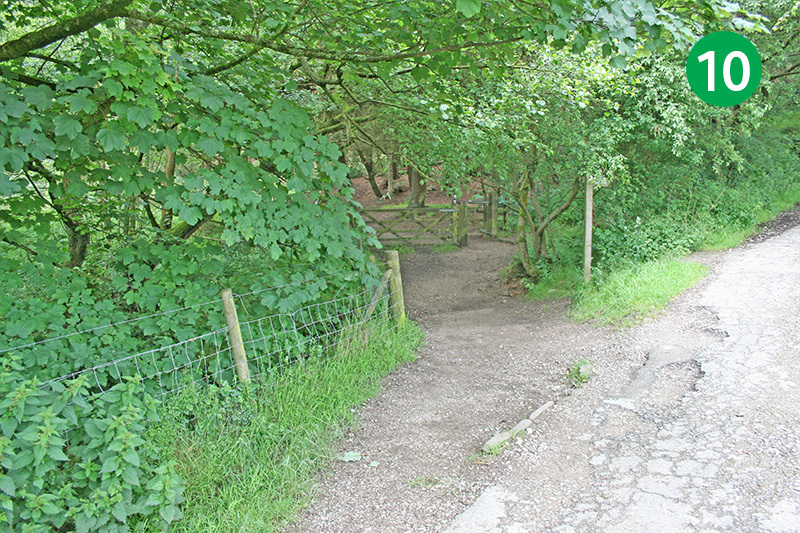 3: Continue in the same direction when you reach the single track road, heading down towards the reservoir. 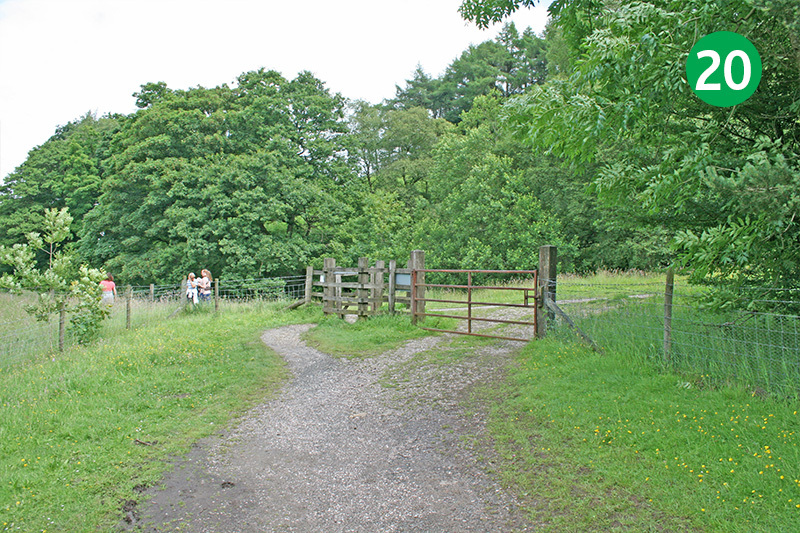 4: Follow the track through a stile beside a gate. 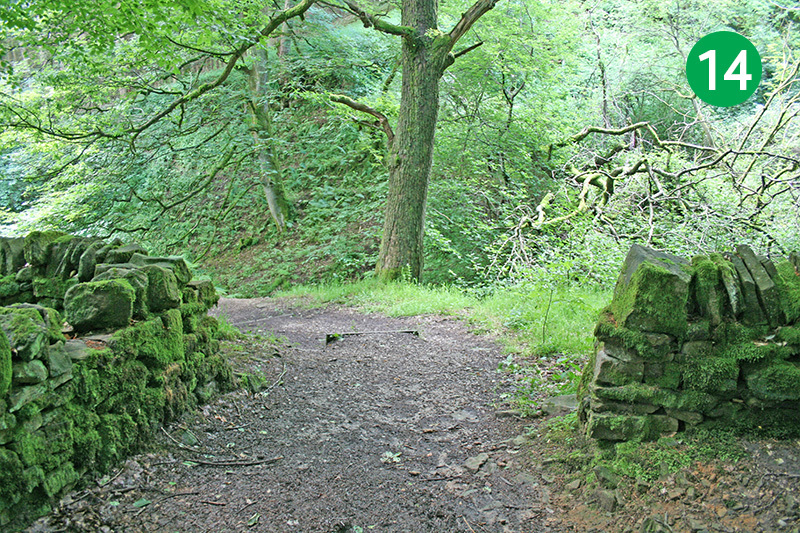 You are now on the track of the Cromford & High Peak Railway line. This section closed in 1892 when an easier route was opened. Click here for details of the railway line. 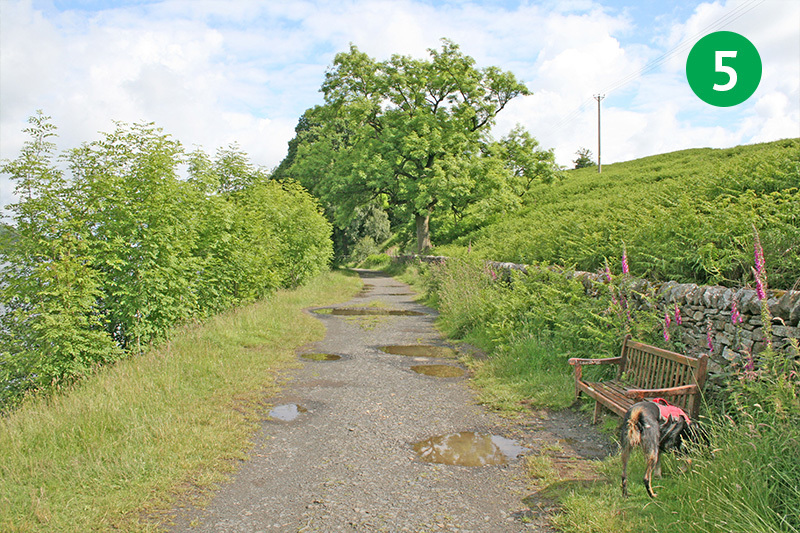 5: There are a few benches beside the path to rest a while and enjoy the view. As you reach the northern end of the reservoir, look over the waters. Beneath here lie the remains of a gunpowder factory which once employed over 100 men. Click here for info. 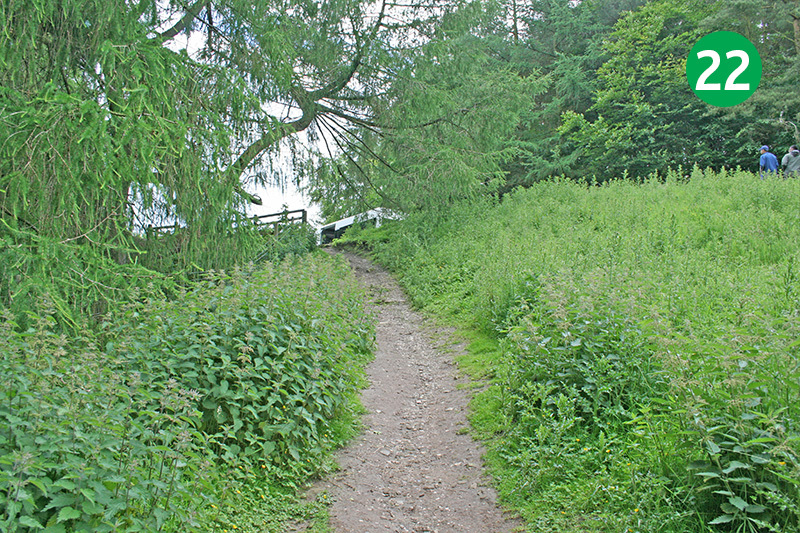 6: As you near the end of the path, go over a stile beside a metal gate and continue along the track, heading towards the car park at Fernilee. 7: Turn left to cross the dam wall. There are some great views from here over the reservoir. 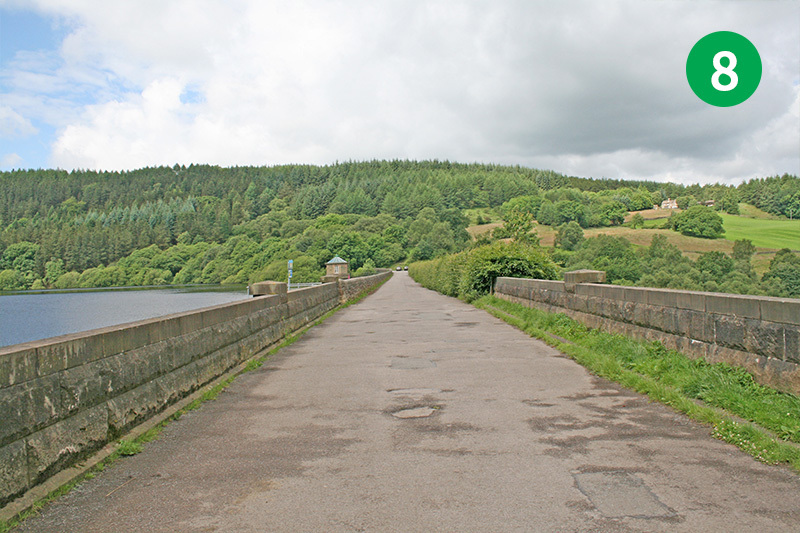 It was completed in 1937, some 30 years before Errwood Reservoir to the south. Both should have been completed at the same time, but shortage of men and materials during World War 2 postponed work on the second reservoir. 8: Cross over the dam wall at the northern end of the reservoir, pausing a while to enjoy the wonderful view over the waters. 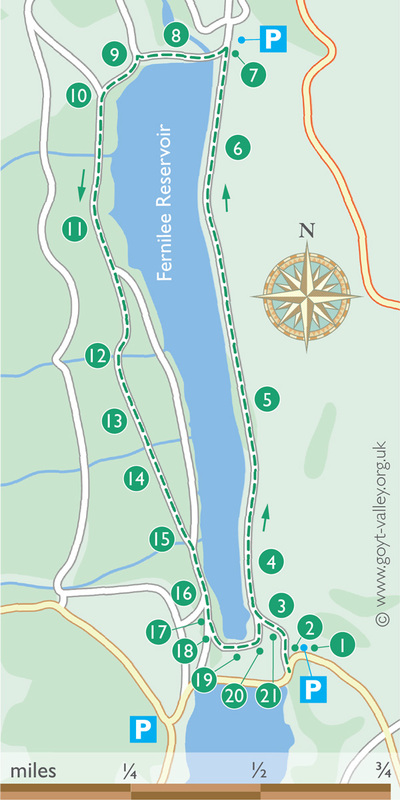 10: Follow the direction of a footpath sign on your left, going through a small gate. 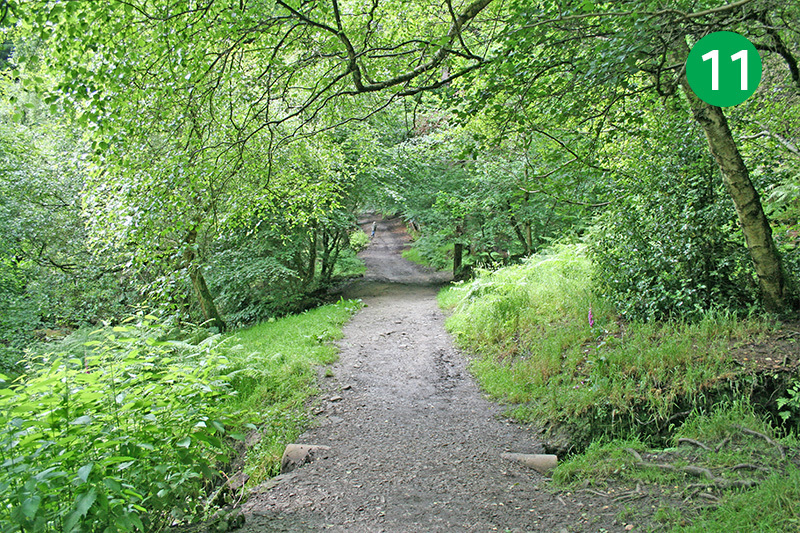 You are now on the path along the western side of the reservoir. 11: Continue along this track. There are footpath signs at two points along here which will take you down to the shoreline path. 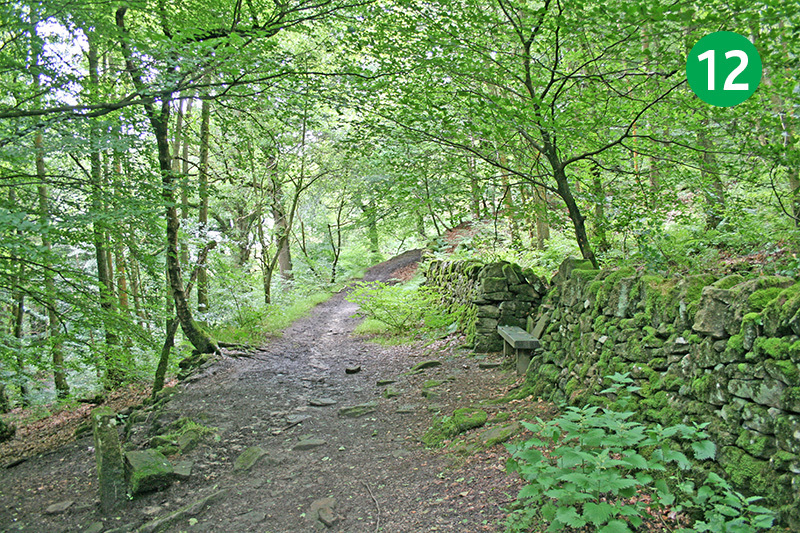 All the paths – including the one through woodland – end up at the same point, so it’s a choice which one you take. But I prefer keeping to the upper path. 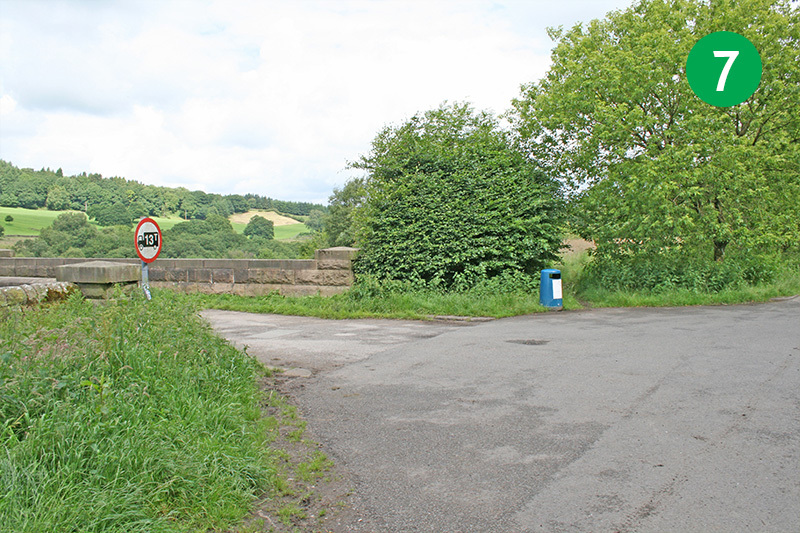 12: Look out for a bench on the right with a metal plaque. A latin scholar has provided a translation: “Go forth with a patient mind through the chaos as you think just how much tranquility may exist amongst the silence.” I’ll go along with that! 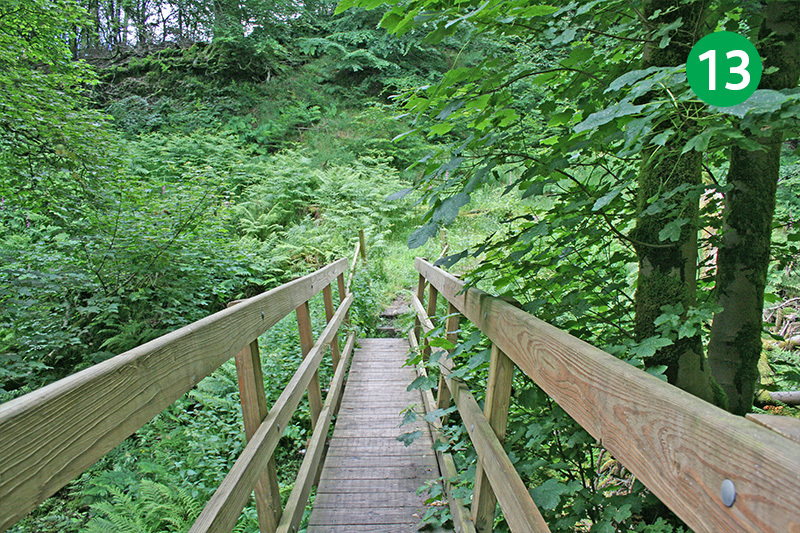 13: Follow the track as it gently rises, crossing a small wooden foot bridge. 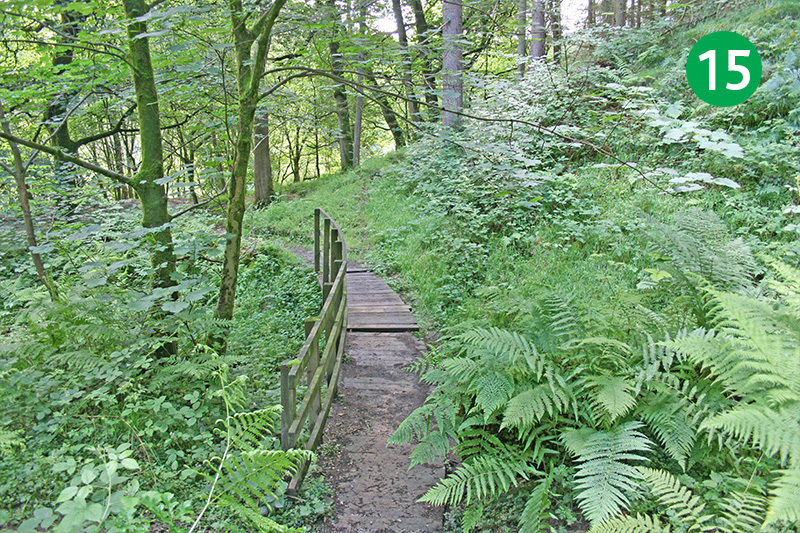 15: As the path slopes down, go over another wooden footbridge and then turn right along the shore-line track. 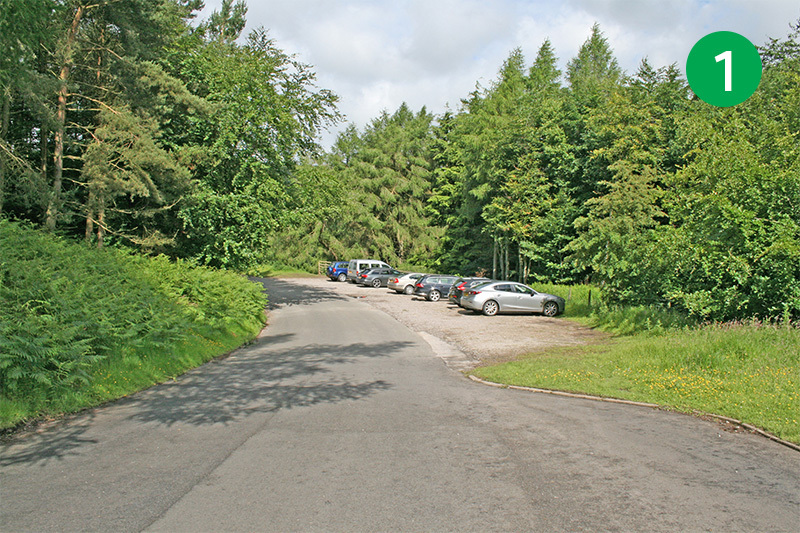 16: If you’ve parked at the main car park, turn right at the footpath sign to Errwood and head up the slope. Keep following the narrow path across the moorland and you’ll soon reach it. 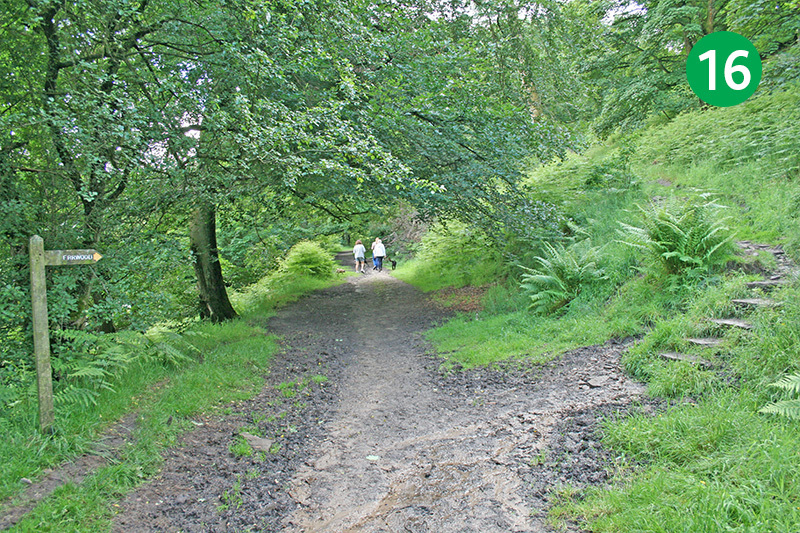 You could also take this path to extend the walk along the shore of Errwood Reservoir. 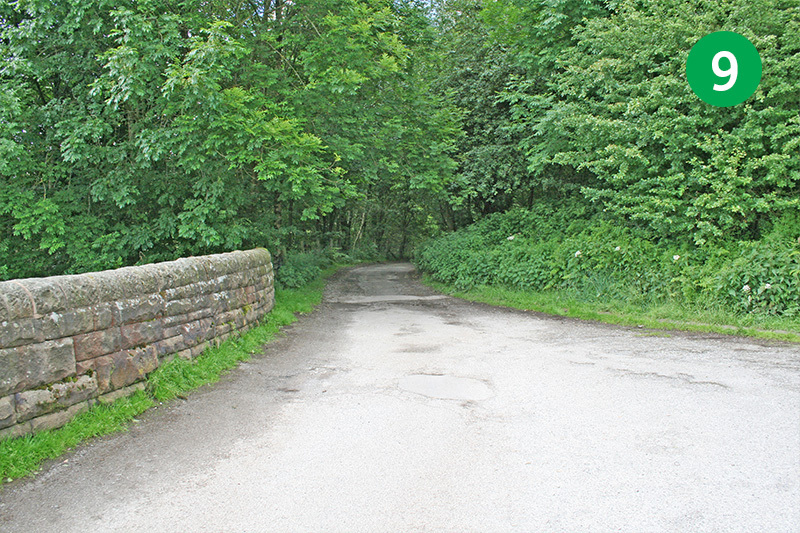 17: If you’ve parked at the foot of the Bunsall Incline, continue in the same direction, going through a wooden gate. 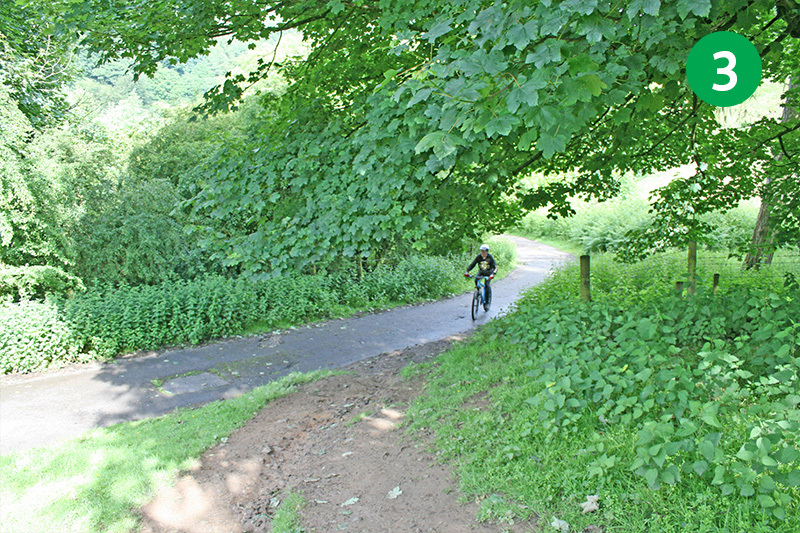 18: As you near the end of the track, turn left down the slope to exit the trees. 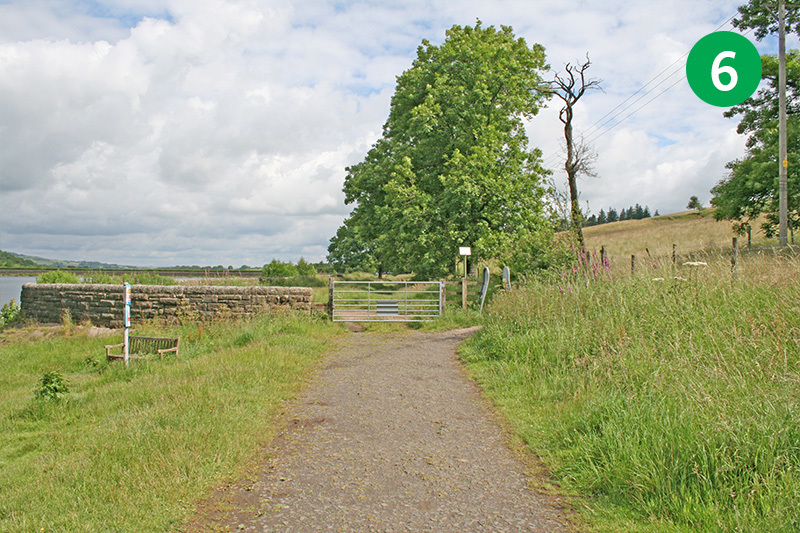 19: Follow the footpath along the southern end of Fernilee Reservoir, perhaps stopping a while to enjoy the view along the waters. The road between the twin reservoirs is along the top of the ridge to your right. 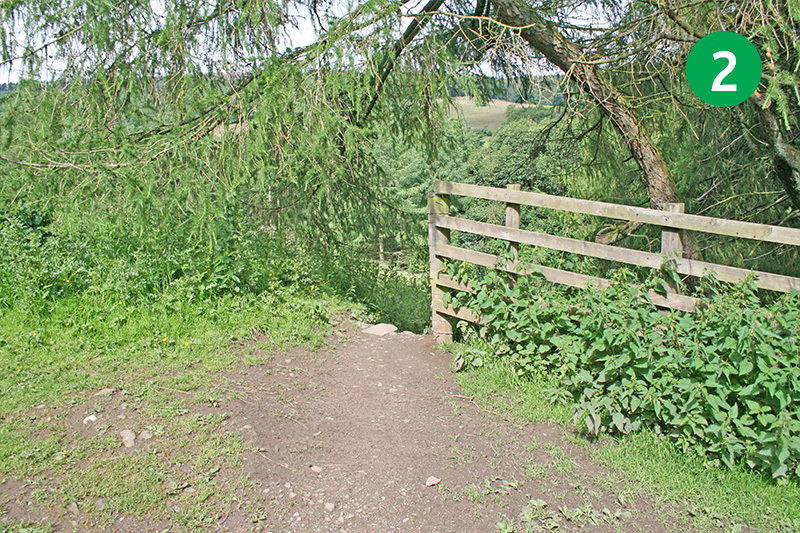 20: Exit this path over a stile beside a metal gate, and turn right up the narrow road. 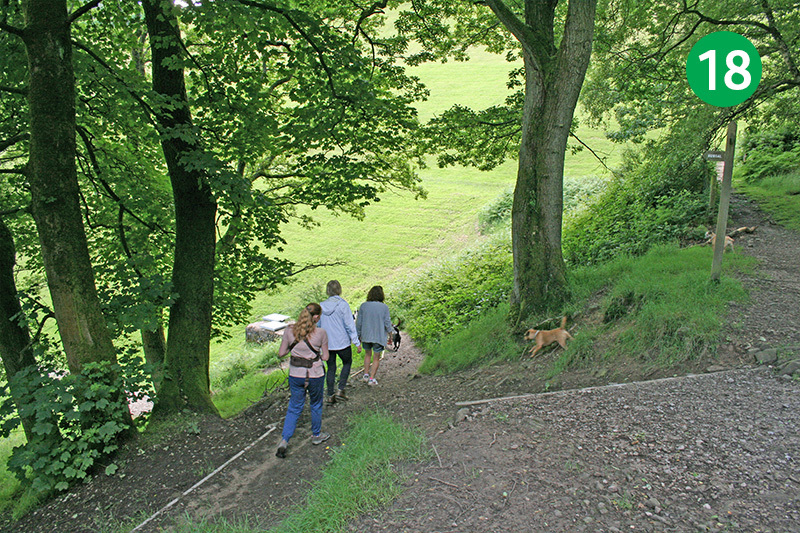 21: As you near the top of the slope, follow the track which rises up on your left, beside the trees. Or simply continue walking up the road and turn left to reach the same point. 22: The car park is at the top of the slope on your left. But if you look over the fence on your left, you should be able to see the remains of a bridge. Steam trains were once winched up and down through here along the Bunsall Incline.